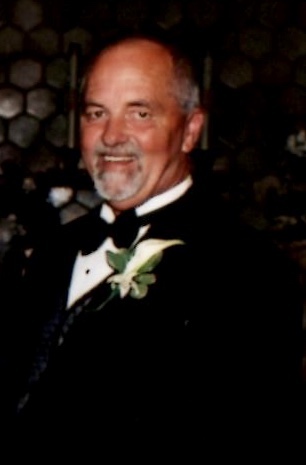 Thomas W. Walton, 70, of Delevan, WI died on July 3rd, 2018 at Lakeland Hospital in Elkhorn, WI. Born Thomas William Walton to the late Thomas and Evelyn (Swanson) Walton on January 27th, 1948 in Illinois. Thomas was a member of the graduating class of 1966 from Ridgewood High School in Norridge, Illinois. In 1968, Thomas was united into marriage to the former Kathleen Merkel, she preceded Thomas in death on March 26th, 2004. Thomas was a man who loved his horses and spending time at horse shows until the late 1980’s. He loved his dogs, spending time in the shop working on his “toys” and riding his motorcycle. Thomas loved being an over the road truck driver and was proud to be an Owner Operator driving with Kathie for many years coast to coast. Out of all the things that Thomas loved he would push it all aside to spend time with his family and friends. 2 children survive Thomas: Thomas (Jamie) Walton of Lake Geneva and Brandee Walton of Lake Geneva. 3 grandchildren: Anthony, T.J. and Zach Walton and 1 sister: Terrie (Dan) Mayes of Arizona and 1 sister-in-law: Teri Walton all survive Thomas. Long time companion and friend: Patricia Ehlen survives Thomas. His Parents, Kathleen, and 1 brother Robert Walton preceded Thomas in death. A celebration of Thomas’ life will be held on Saturday, July 14th, 2018 at 1:00pm at Our Redeemer Lutheran Church in Delavan, Wisconsin. A luncheon will follow immediately after the service at the church. In lieu of other expressions of sympathy the family has asked that you make a donation in Thomas’ name to Little Lambs at Our Redeemer Lutheran Church. A link has been provided below for your convenience. The Derrick Funeral Home and Cremation Services of Lake Geneva are more then honored to be assisting Thomas’s family in their time of need.